So many of you were inspired by my Quinoa for Breakfast post, I thought I’d bring you a new healthy breakfast option, brown rice for breakfast! I am obsessed with this recipe because it’s super easy, customizable and delicious. For me, the toasted sesame oil is the secret flavor here, but I’ll let you try it out and decide for yourself. I’ll give you the rundown of how I made my brown rice breakfast bowl and I’ve got a few additional tips for you down below! Cook the scallions in a large skillet over medium, add the spinach, salt, and pepper and cook just until wilted, about 1 minute. Note: I cooked my brown rice ahead of time, so I warmed it up in the skillet during this step. Whisk the oil, vinegar, and sesame seeds in a small bowl. I didn’t have sesame seeds so I used sunflower seeds. Divide the brown rice, spinach mixture, avocado, and radishes in the bowls. Garnish with scallions and sesame seeds. Drizzle with the sesame dressing and serve warm, with more dressing on the side. Top with a fried egg for protein! Additional Tips: If you want to save time, make a pot of brown rice the night before and reheat once the other ingredients are ready. If you’re making this for one or two people, you could also get frozen brown rice from your grocery store, I like frozen brown rice because it has smaller portions and cooks in a few minutes. You can also, try other green vegetables in your bowl: Broccoli, zucchini, and Swiss chard all work well. Is fitness one of your goals right now? 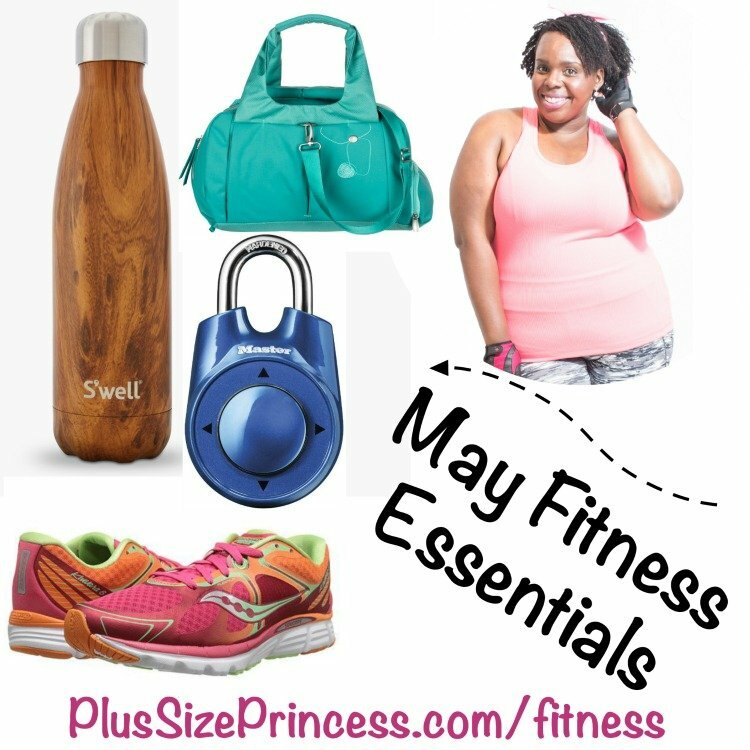 I’m pretty sure we all know that working out is important for our health at any size. We probably know the workouts we enjoy and the ones we can’t stand (I’m looking at you, spin class). But at the end of the day, knowing what workouts we should be doing and actually working out are two different things. So, here are three ways to get motivated to work out. Something I love to do is to catch up with friends and family while I take long walks. While I was home in California I caught up a lot with our family dog, Bingo. When I’m in NYC, I’ll schedule phone dates with old friends, or I’ll call one of my cousins that I don’t speak to often. Pairing a phone call to someone I love with my workout makes me more eager to get out and get moving. If I plan a one hour walk by myself, I find that I get a little bored around the 40 minute mark. Chatting while walking really helps to make the time fly and I find that I don’t even notice when the 40 minute mark arrives. Not a phone person? I also suggest listening to podcasts or audio books. Something you can look forward to! It’s really easy to convince yourself that you have to join a gym to get fit. That’s 100% not true. When you’re ready to step your fitness game up, be confident that you already have access to everything you need. Just add a little dose of motivation! I don’t have a gym membership when I’m in California, so I love to get creative with my workouts. I headed out to the University Track in my hometown for some walking and then I used one of the bleachers to do modified push ups and squats. I use things like broom sticks and walls in my parents house to break a sweat and it doesn’t cost me a penny. When I say “work out” or “exercise”, you probably imagine sweating up a storm for an hour. But sometimes that’s just not possible. When I flew to California, I had a long layover. So, instead of spending hours on instagram I wore travel clothes that I could move in and I took a long walk around the terminal. After spending most of my day sitting in a plane, it felt good to move my body and while I didn’t get super sweaty and winded, I did make sure I moved my body and that counts for something. Thankfully, this Catherine’s workout tee was perfect to wear as “real clothes” and their jeggings are super easy to move around in. When I look cute, I’m more eager to go out and that applies to exercise too! All of the plus size workout clothes I wore when I was home came from the Catherine’s. I was so happy to take the styles they had for a test run because they come in extended sizes (up to 5x) and the sizing runs big so there should be something for most girls to fit into. The line comes in petite’s and they have a good selection of more modest workout clothes with longer sleeves for my girls who like to be a bit more covered up when they sweat. 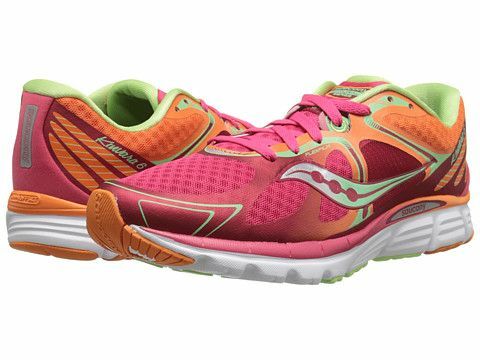 I also love that Catherine’s has sneakers in store because finding a proper workout shoe in a wide width can be tough. Sometimes, cute new workout gear is all the inspiration I need to go break a sweat. So, although focusing on my health is undoubtedly a huge priority for me, I’ve come to the conclusion that the only way I’m going to reach my goals is if I possess a positive body image. For the New Year, that means out with the negative resolutions and in with the encouraging and uplifting ones. I’m going to hit the gym because I love my body — not because I hate it. Okay, so my thighs touch, and the backs of my arms jiggle — but my body is still an amazing instrument that I literally couldn’t live without. So, instead of spending 20 minutes on the inner-thigh machine trying to shrink myself, I’m going to spend that time making my thick thighs stronger, so they can hold me up well into my old age. And, the next time I lose grip on my cell phone and it falls into my lap, I’ll be thankful for the non-existent thigh gap that did not let that phone crash to the ground. If I like it, I’m going to wear it. I spent all of high school following fashion rules that I didn’t believe in. Spoiler alert: Our bodies don’t change when we wear all black. 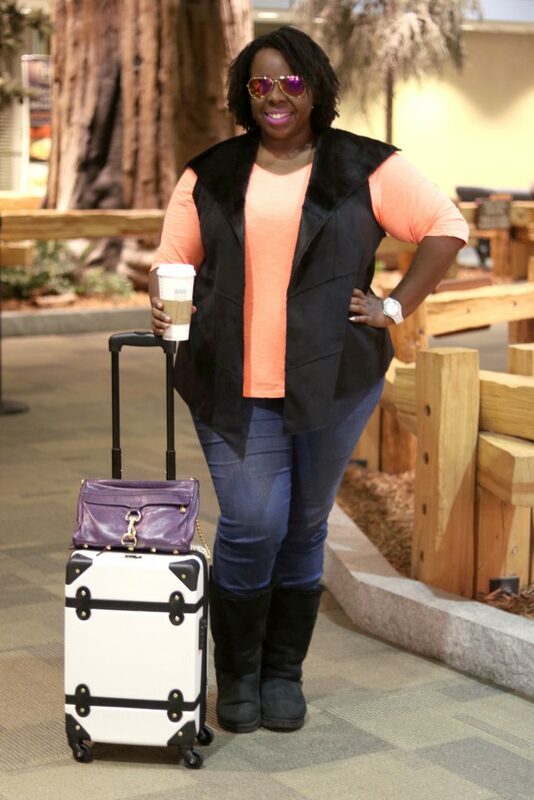 In my opinion, plus-size girls are subject to random fashion “rules” because people want us to hide our bodies. If you’re not a perfect size 4 or 6, you’re not supposed to wear this or that. Yeah, no. I’m not going to conform to someone else’s subjective opinion on what I should and should not wear. I’ve learned to bare my arms and show off my legs, and I think this year I want to try crop tops and horizontal stripes. Each time I’ve let a part of my body show, I’ve felt empowered, liberated, and beautiful — so why stop now? I’m going to move it, move it. There is something amazing that happens when I move my body. Long walks on the weekend, an evening swim, or even my one-song workout videos have the power to change my mood. I need to not forget how much I love that, because the more I keep myself in a positive head space, the more I look at everything (including my body) with positivity. I’m going to buy cute pajamas. I wear cute pajamas to bed, even when I’m sleeping alone. This is because my relationship status doesn’t change my value — so the way I treat myself when I’m alone should be no different than how I treat myself when I’m in a relationship. If putting on nice pajamas before bed makes me feel good and happy about my body, it’s worth doing. It’s easy to work out because people say you should, wear the clothes that people say you should, and judge your body the way people say you should. 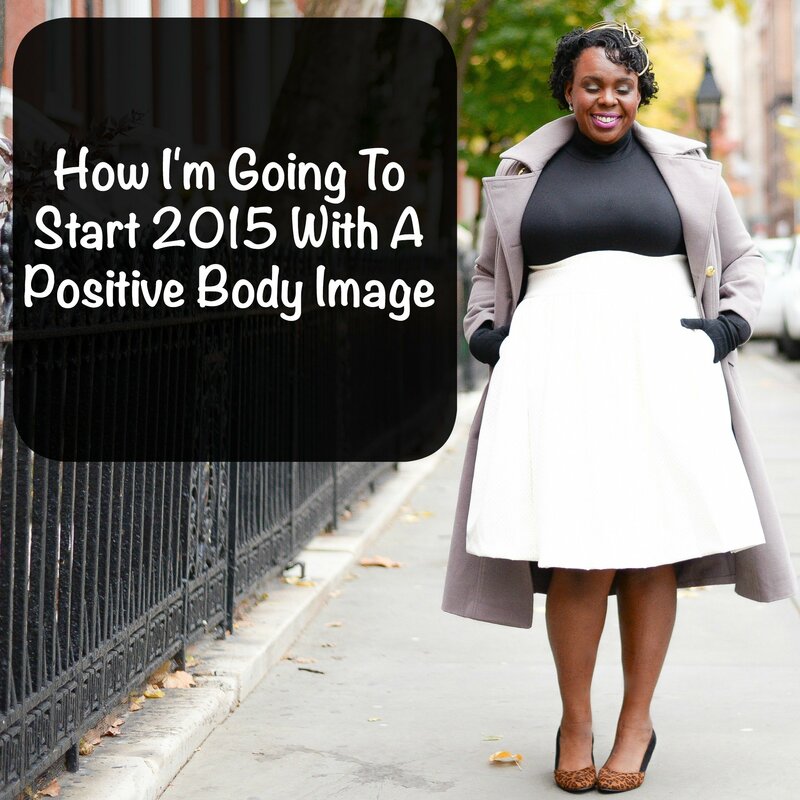 It’s less easy to embrace a positive body image — but I’m going to make it happen. This year, I propose that you do the same. Instead of saying you’re “not going to buy that dress until you lose 10 pounds” or that you’re “going to do as many sit-ups as it takes to get a flat stomach,” take some fashion risks, find a class at the gym that you love, practice moderation in your food choices, and be happy with how you look right now. It doesn’t mean there isn’t room for improvement — I’ll never stop challenging myself — but it means finding peace and contentment with who we are and who we’re becoming. Guess who did her first 5K last weekend…? This girl!! A big part of being able to do a 5K is me taking special care of my knees. Be sure to download the free “How to Get Fit with Bad Knees” videos. I don’t particularly love running, but I work on my running so that I can have a workout in my back pocket that I can do anytime, anyplace *Janet Jackson voice*. So, even though I’ve been training and working my way up to a 5K, I didn’t actually have a date, time or place for actually doing a 5K race. So, when my friends sent me a text basically saying “Hey girl, we’re doing a 5K this Saturday #PSPfit, right?” I couldn’t say no. 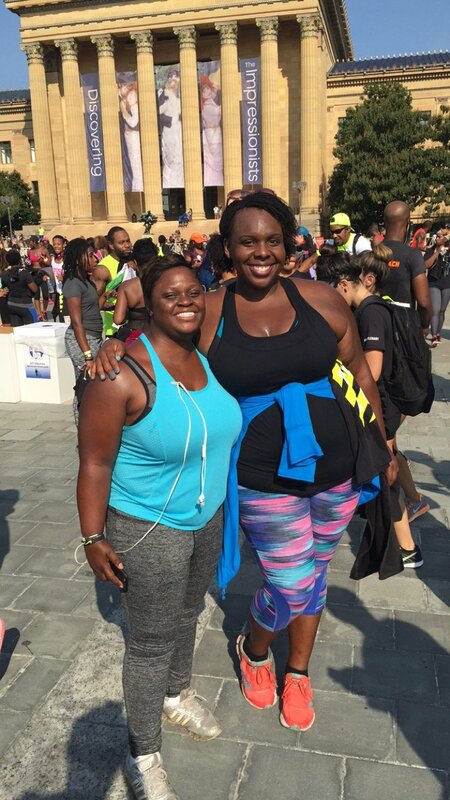 We did the Kevin Hart #runwithhart 5K in Philadelphia. The best part is how supportive my friends were. A 5K run is 3.1 miles. It’s actually the recommended “beginner’s run” distance, so don’t let the “5K” title intimidate you. How Should I Train for a 5K? I used the Couch to 5K training app, I can’t remember if I did a free or paid version. The app plays over whatever music you’re listening to and basically tells you when to walk or run. You start out running for 15 seconds or so and within weeks you’re running at five minute intervals. It’s cool to see how your body gets used to it! How long Should I Train for a 5K? I technically am not done training for my 5K, but I did it anyway because the race we signed up for encouraged all levels and walking too. So, sign up for one that’s supportive and when the date comes just do your best. I actually let my couch to 5K app guide me for the first part of the race, then I did my own intervals for the second half. I definitely didn’t run consistently the whole way, but I ran more than I ever have in my entire life. What Should I Wear for a 5K? Wear clothes that won’t move. You don’t want to be tugging on shorts or worrying about a shirt riding up. Make sure you have deep pockets or pockets with a zipper so your phone/keys don’t go flying out. Wear shoes you’ve been running in for a while already. Wear deodorant lol. Am I ready to do a 5K? Thanks to my friend Jasmine for pushing me to do this, can’t wait for the next one! S’well Bottle: I am obsessed with my S’well bottle! It’s a reusable stainless steel water bottle. Keeps drinks cold for 24 hours, hot for 12, non-toxic, non-leaching, and BPA free. Holds 25oz. I take mine to the coffee shop in the morning, fill ‘er up and then when I’m done I rinse it and start filling it with water through the day. 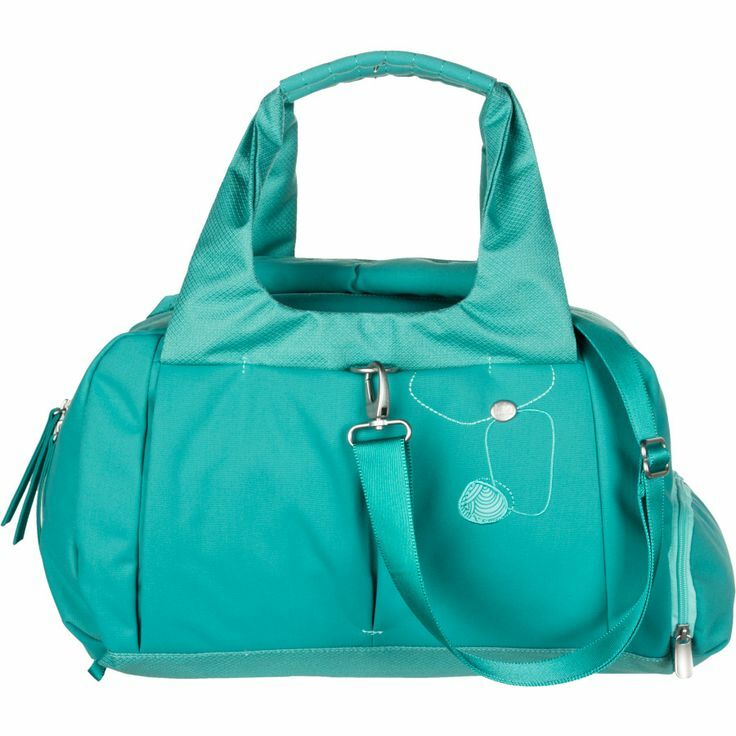 Haiku Duffel Bag: I have this bag in pink, obvi 🙂 My favorite thing about this bag is that the shoe compartment is separate from the clothing area so my NYC dirty shoe bottoms don’t touch my cute dresses. Take the Haiku Sprint Duffel Bag along with you to the gym, or when you’re heading out for an overnight or weekend trip. 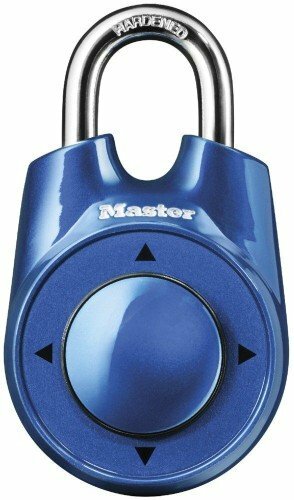 It is sized to fit in a gym locker, and includes a locker loop so you can hang it to easily access your stuff. Its large zippered main compartment will hold a change of clothes (or two) and a towel, and includes two stretch drop-in pockets, and a separated, ventilated compartment for your shoes. Slide your yoga mat, a jacket, or a rolled towel through the adjustable strap that sits at the top of the bag, and tuck the strap away when you don’t need it. 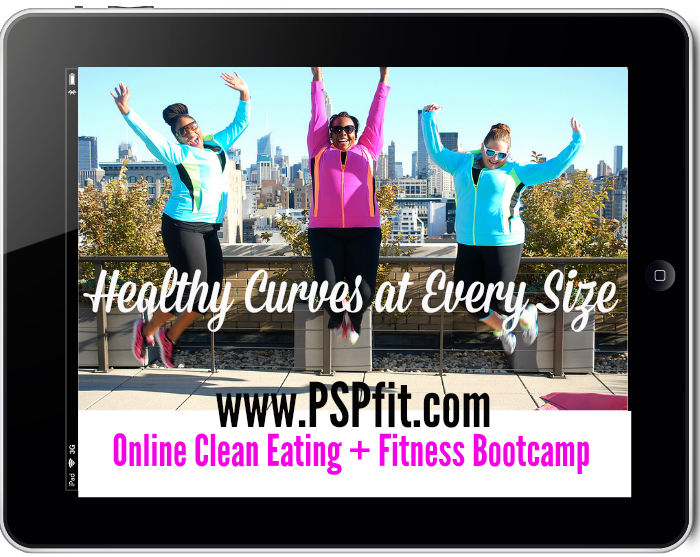 If you embark on a healthy curves journey, be prepared for your entire life to change. I’ve spent the past two years or so, sitting at my day job with my stomach in knots. I had great co-workers and an awesome work environment, but I knew I wasn’t doing what I was supposed to do. The life I had and the life I day-dreamed about were completely different and I couldn’t figure out how to transition into making my day dreams a reality. But one thing I could figure out was making my health goals a reality, so I put my energy there. My nutrition coach taught me how to replace toxic foods with healthy foods and to my delight my acne cleared up, my menstrual cycle regulated, my hair and nails grew and I released 55 pounds. What I didn’t expect was that my healthy lifestyle would make me sensitive to anything that was toxic. I took my healthy curves foundation and slowly found the courage to apply it to every area of my life. I let go of toxic foods and focused on healthy nourishing foods. I let go of toxic friendships and focused on healthy nourishing friendships. Then I began to accept any opportunity that gave me financial stability and also felt healthy and nourishing. I did that more and more and I’m happy to say that I recently let go of my less fulfilling career path and I’m following my dreams full-time. I know some of you have business ideas that you scribble in notebooks, or a creative side that you left behind in favor of stability. I know its probably not possible to just up and change your life right this second, but I do believe that its possible over time and I know without a shadow of a doubt that a healthy lifestyle is the foundation to make those major changes. I talk more in detail about my journey towards living my daydream in the video below. Today I posted on my facebook page that working out makes me feel loved and valuable. My body is worth love and good treatment at any size, health and fitness is the best way for me to do that. Ditching a baggy T-shirt and wearing cute plus size workout clothes, is my way of reminding myself that my fitness is just as important as anyone else in the gym. You still have time to register for our January #PSPfit Challenge. Registration for the #PSPfit challenge closes tomorrow and our nutrition coach, Abra is excited to start sending out recipes, meal plans and get to know everyone in the private facebook group. Are you joining us? Love and support ourselves and each other! Each time I do an event, I get nervous that no one will show up, but from the moment I walked into the Newport Centre mall I was met with warm greetings from my blog readers and YouTube subbies. You all put me right at ease, so thank you! There was also a sign with my name on it in the mall, which made me feel teen pop star… basically a dream come true! 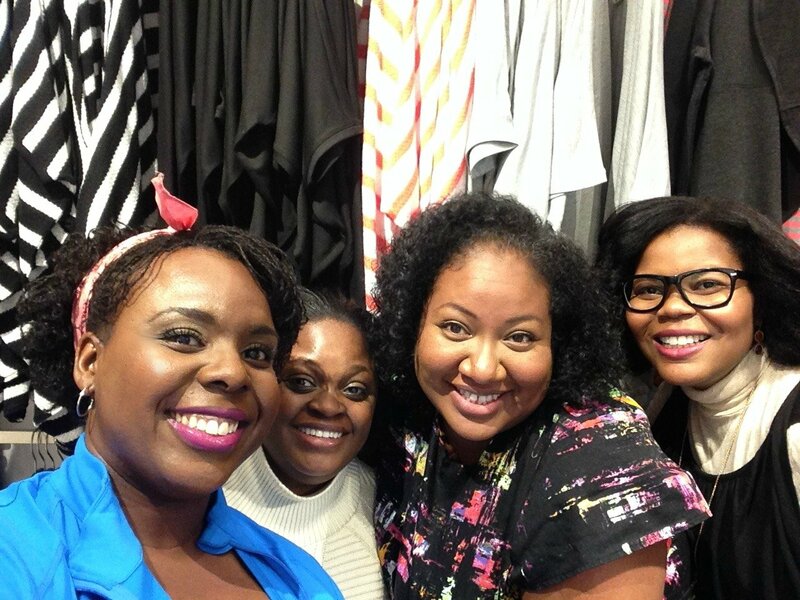 Thank you to everyone who came out to my launch party and the other 150 Lane Bryant locations to celebrate the launch of the Livi Active collection of plus size workout clothes. I made a little event video recap for us, but you can also check out #PSPfit and #LiviLife on instagram for more photos and videos. Also, thank you to my “in real life” friends Liz, Huanne, Jasmine and Alex– who trekked out to New Jersey to support me, I love you guys!!! Is There Such A Thing As Being Fat And Fit? Them: Hi! So, I just wanted to come over and tell you what an amazing job you’re doing. Keep it up, okay? You’ll get there! You see, I am a super-active girl who enjoys dancing, sports, and various bootcamps. I am also plus-size. Most of the regulars at my gym know that I’m the plus-size girl who works out like a beast, so they let me do my thing. But, the people who have recently joined the gym treat me like I’m a walking “before” picture from an episode of The Biggest Loser. But some of us are fat — and fit. One thing big girls often hear is something to the tune of, “you need to get healthy and lose weight.” It’s usually said as one word: “gethealthyandloseweight.” Statements like this make the assumption that fat and fit are mutually exclusive. They are not. Statements like this make the assumption that skinny and healthy are synonymous. They are not. There are skinny people who have heart attacks, high blood pressure and diabetes. There are fat people who run 5K races, avoid junk food, and get clean bills of health from their doctors. 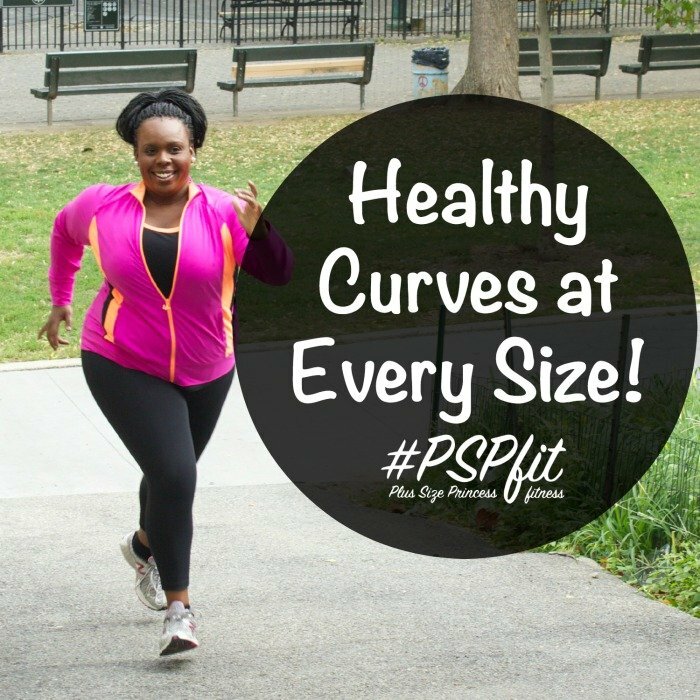 When I began the healthy curves journey that I call #PSPfit, Plus Size Princess Fitness. I set three goals for myself: eat clean, train dirty, and love myself at any size. I had been working hard to be the skinniest version of myself since I was 12 years old (spoiler alert: I gained more weight than I ever lost), so my commitment to those three things completely changed my mindset and I set out to be the healthiest version of myself. I was already in the gym four times a week, so that was an easy habit to keep, but I amped up my workouts by adding intense cardio and tons of strength training. Then, I put on an apron and got cooking to ensure processed foods were eliminated from my diet. I also made regular mani/pedi appointments and went shopping for cute plus-size gym clothes (Yep, I took the “love myself” partvery seriously). 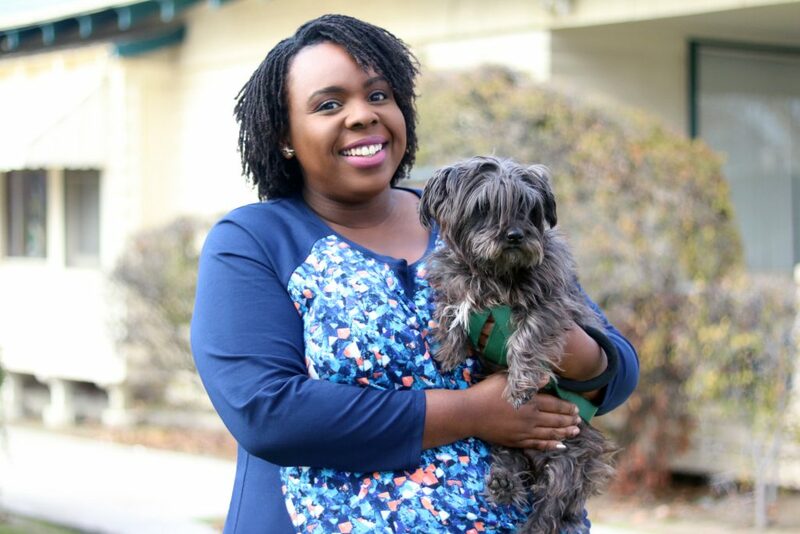 My health began to improve in unexpected ways: My skin cleared up, my period became more regular, my eczema went away, my sleep improved, and my energy skyrocketed. Oh, and I lost 55 pounds. Sure, weight loss was a part of my health improvements, but here’s the thing: In the past, I’ve lost more than 80 pounds and still had bad skin, annoying eczema, and terrible sleep patterns. So, weight isn’t everything. It’s certainly something, but it’s not everything. I can do jumping jacks, pushups, planks, side planks, swim laps, and keep up in bootcamp classes galore. I eat green smoothies and cook yummy, clean recipes. 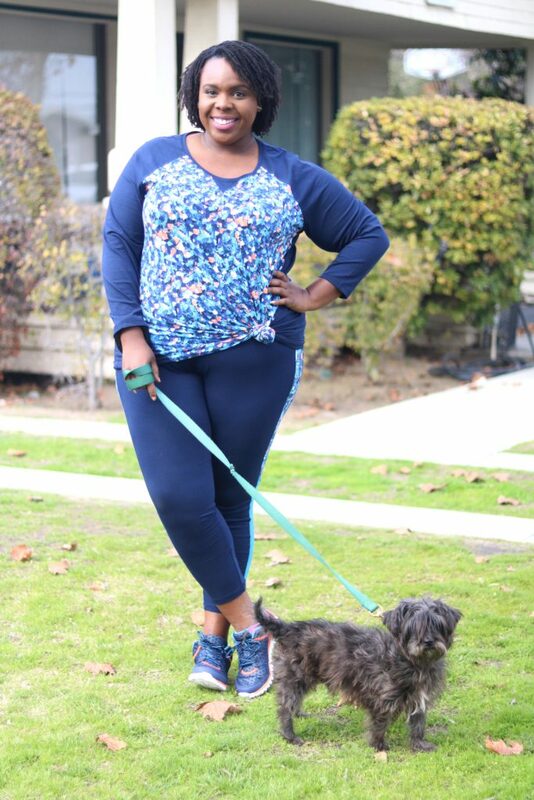 I life a fit lifestyle, I’ve shed dozens of pounds, and I’m still a big girl. Even though the numbers on the scale continue to slide down, I’m pretty sure that I’ll always be a big girl. So, what does that mean? Is being fit what you look like, or how you live? Is it what size you wear, or what you can do in the gym? I’m starting to realize that a healthy, fit lifestyle will enable my body to find the appropriate weight for my optimal health. Being healthy and fit is about choices and I’m making good ones. So, the next time a newbie at the gym assures me that I’ll “get there,” I can remind myself that I am already.